“The fever is getting back”, thought many investors while the market had an interesting trading session in yesterday morning September 6 and many new records were set. 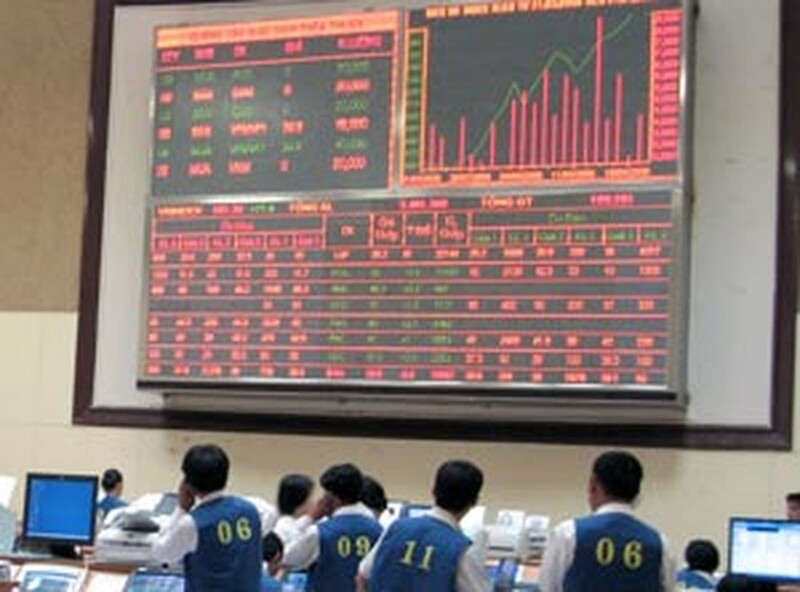 As for trading volume, the changing hands of 3,725,430 shares, equivalent to VND197.8 billion (about US$12.35 million), is the first new record of the stock exchange in Vietnam. If the total number of shares trading is taken into account, the 4.2 million shares reached in this session is the highest in the past 4 months, and, according to the VCB Securities Company, it is the third highest of total share trading since the market opened in late July 2000. After the strong surge in the previous session, the skyrocketing buying demand right at the beginning of yesterday’s session promised an interesting session with many surprises. However, when the session gradually came to its last minutes, supply saw a sharp surge, causing the VN-Index to close with a slight increase of 1.95 points (0.38%) to 517.61 points, downed from 11 points of the first phase. Statistics from the Ho Chi Minh City Securities Trading Center showed there have been more than 7.5 million shares on the selling side to meet the demand of more than 5.27 million. The selling volume is also the highest ever of the exchange. In this trading session, SJS share of Sudico, after surging by VND6,000/share, became the most valuable share of the market, priced at VND178,000/share. More surprisingly, VSH share of the Vinh Son – Song Hinh hydropower, despite having the selling volume of 860 thousand shares, rose to ceiling price at VND39,600 each, “bucking the trend” for the first time and leading the market while other key stocks such as VNM, REE, SAM, GMD, KDC stay flat or saw a slight decrease.